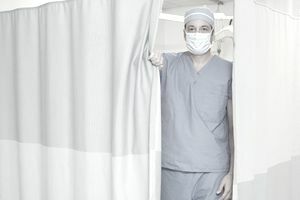 If you are like many Americans, the thought of an ER visit is a scary proposition; not only because of the emergency medial situation but out of a sense of fear of being overcharged for services. Health care costs for emergency room services seem to be increasing each year. Findings from John Hopkins School of Medicine suggest ER service charges can exceed Medicare rates for the same services sometimes by as much as 13 times the Medicare cost. The average cost of an ER visit can cost you as much as one of your mortgage payments or even a car note. When an emergency medical situation occurs, the first priority is receiving immediate care and hospitals know this. There is little to stop ER departments from charging exorbitant prices for services. For those who don’t have insurance coverage, the rates can be even higher with minorities and patients with little financial resources receiving the greatest hit. The John Hopkins study reports the Southeast and Midwest were the greatest culprits in overcharging for emergency room services. The average cost for an emergency room visit will vary on whether or not you have insurance. A typical co-pay for emergency room services is $50-$100 which may or may not be waived if you are admitted to the hospital. If you do not have health insurance, an ER visit can cost anywhere from $150-$3,000 depending on the severities of your injuries or illness. In extreme cases where critical care is needed, the charges could be as high as $20,000. If you require an ambulance, the fees can be over $1,000 depending on the service. Charges for air ambulance services can be even higher. An electrocardiogram charge can range from $18 to $317 but the median charge is $95. With such a wide fluctuation in charges for ER services, it is difficult for a patient to know what kind of bill to expect when going to an emergency room for treatment. If you are away from home or must visit an out-of-network ER services provider for any reason, you can expect to receive a surprisingly high bill for the charges. According to a Kaiser Family Foundation report, 7 out of 10 patients overcharged for services used an out-of-network emergency room service. Some insurers are putting emergency room visit charges under the microscope and scrutinizing whether the visit was for a true emergency. Others insurers are refusing to pay full charges for emergency room visits if the insurer decides the hospital is charging too much for its emergency room services. This can leave the patient with an unpaid medical bill for emergency room charges not covered by the insurance company. Recently, health insurer Anthem Inc. was sued by doctors and ordered by pay for emergency-room care that was initially denied. If you are insured, your health insurance company is required a co-pay amount for emergency room treatment which will vary based on your health insurance plan. Under the Affordable Care Act Patient’s Bill of Rights, as of 9/23/2010, insurance companies are not allowed to charge higher co-pays for out-of-network hospitals and patients are not required to get pre-approval for emergency care. Plans grandfathered in before this date are exempt from this requirement. Don’t look for ER room charges to go down in the near future. A New York Times report, citing Yale University research, is showing many hospitals outsourcing emergency care to out-of-network medical providers that are aggressively over-pricing services. The best advice is to go to the nearest ER if possible. Here is a tool from Medicare.gov that allows you to find a list of the nearest hospitals to your location. If your family is considered low-income, you may have some options for lower ER charges including coverage through your state if it is one of the Medicaid expansion states receiving Obamacare subsidies. You can go to the HealthCare.gov website and see if you qualify for Medicaid in your state based on your income. Some hospitals also have financial assistance programs you can check into. Under these programs, charges are limited, usually to the Medicare allowance for charges for specific medical services and procedures. A provision of the Affordable Care Act limits emergency room charges for single Americans with an income of $48,284 or less and for families with incomes below $92,000. This provision is only for non-profit hospitals. If in doubt about the coverage available to you for ER services, ask to speak with a financial counselor at the hospital and review all your options. Some hospitals may even negotiate the charges if you dispute them and negotiate a payment plan for you based on a lesser charge. It doesn’t hurt for low-income patients to ask to be billed based on a Medicare or Medicaid rate for services. Some hospitals offer to discount emergency services by as much as 50 percent for self-pay or uninsured patients.